The Vetala, my first novel, arose out of my relationship with Pune like the return to consciousness of an almost forgotten love. When I first saw Pune in 2005, I had already known for some years that I was destined to go there. While studying Sanskrit in my home city of Toronto, Canada, I became obsessed early on with the Mahabharata, and soon came to know that Pune was the home of the Bhandarkar Oriental Research Institute, historically the greatest centre of Mahabharata studies in the world. After my marriage to a Punekar in 2006, I had the honour of working in the Institute’s Mahabharata department for a couple of years, but was forced by necessity to take a more remunerative job at the nearby Dilip Oak Academy, just down Bhandarkar Road from the Institute. I was grateful for the job, but I knew I was losing touch with my svadharma. I could actually see the Institute from the Academy’s window, like a beloved ghost from a longed-for past. 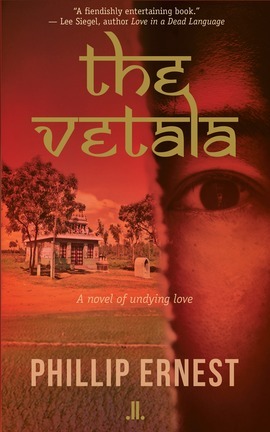 The Vetala: a novel of undying love is itself a story of the remembering of a forgotten life, a love story that spans many rebirths. The protagonist, a woman professor of Sanskrit at the University of Zagreb, Croatia, has for more than twenty years been translating an obscure Sanskrit manuscript on the Vetala. In fact, it was a vetala that long ago killed Nada’s lover and fellow-scholar, setting her on this path of obsessive scholarly revenge with the goal of destroying the monster through the knowledge the book embodies. When her mentor and collaborator in Pune dies, the vetala suddenly reappears, emboldened, determined to seize the manuscript at last and neutralize the threat it poses. His opposition grows increasingly desperate as Nada nears the text’s conclusion, and with the help of an enigmatic pandita and two fellow-scholars struggles to decipher its climactic secret—a secret which would allow her to exorcise the vetala at last, and release not only the mysterious man whom he has possessed for centuries but also her own forgotten self, and its denied and forgotten love. I now think that The Vetala unconsciously reflected my own longing: for a lost Pune of my past and my imagination, and more broadly, for the possibility of somehow reclaiming a life in which I had lost my way, and forgotten myself. One evening in 2014, as I was walking home from the Academy, I stopped at a raddi shop to check out their used books. Among the English books, there was almost a whole shelf of novels from the new generation of vampire fiction that had developed since I left Canada in 2004, and of which I knew almost nothing. I also saw Bram Stoker's Dracula, which I had actually never read. I left the shop without buying anything, but what I’d seen had stuck in my mind. Over the following days I found myself brooding: my academic ambitions had failed, my literary ambitions had failed, my life was going nowhere, I was a disappointment to myself and others... I had a sudden inspiration: maybe, from my strange perspective as a non-Indian sanskritist living in India, I could write an Indian novel of the supernatural that would appeal to readers everywhere. Maybe I could, after all, despite so much failure, finally achieve something. I went back to the shop and bought Dracula, and began to read it in spare moments at work. One day, after reading a few pages, the essential plot of The Vetala came to me within a few minutes, almost automatically. But it didn’t seem to owe anything to Stoker’s novel. It arose instead out of my remembered experiences and dreams, and the Sanskrit literature that had never stopped obsessing me. And as I wrote it—for an hour a day before dawn—it surprised me to see how much love of Pune was coming out. 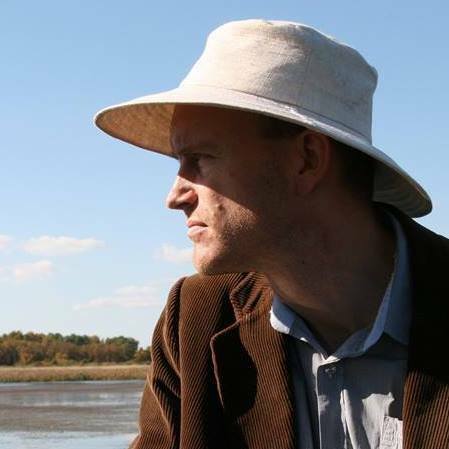 Phillip Ernest grew up in northern Canada and lived in Toronto until the age of thirty-four. He earned a BA in South Asian Studies at the University of Toronto and a PhD in Sanskrit at Cambridge University, England, where he met his future wife, a Punekar. Since their marriage in 2006, they have lived first in Pune and now in Bengaluru.